Well, the Tigers finally won a grand final and boy it was some ride – we have a lot of happy faces here at Danihers! Now we’re all looking forward to the 2018 season. The weather has finally warmed up and what timing – we had a cracker weekend for the third FightMND Daniher’s Drive with Neale. This year my boys Darcy and Ned joined the convoy which headed to Wagga in NSW near our birthplace in the Riverina, then Echuca Moama and then Ballarat over three nights. 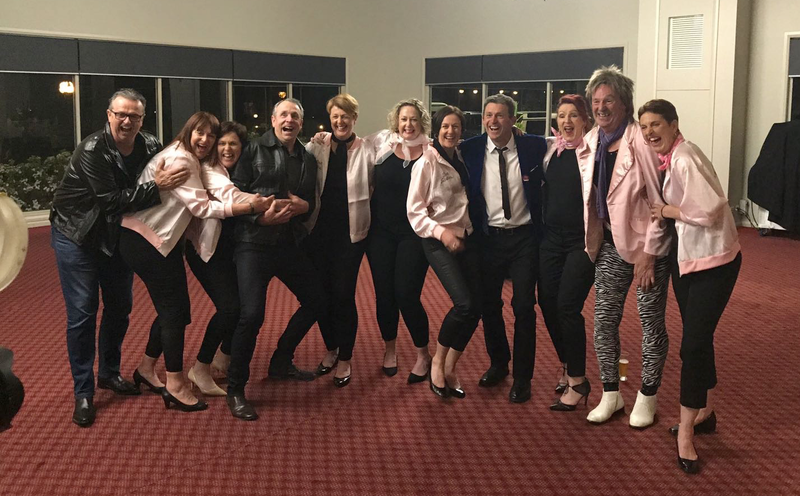 Between the 100 cars and 360 drive participants we raised an amazing $2.1 million – just outstanding, Neale was over the moon! 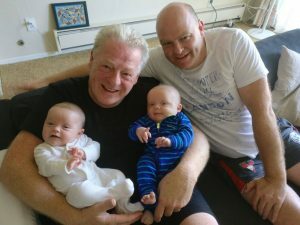 We’ve had a bit of a baby boom in the office over the past few months with my business partner Mark Lynch and our GM Steve Thorogood both becoming grandfathers. They are also joined by our Client Service Manager Marcus Williams who welcomed a grandson to his family. Congratulations to you all on your growing families! Everyone is well and healthy, and Mark’s highlight for the year was a recent trip to the US to meet his grandchildren Francesca and Louis for the first time (all pictured here with our Cleaning Services Manager and proud great-uncle Steve Lynch). While Mark and Steve were in the US they attended the ISSA Cleaning & Facilities Convention and both came away with some wonderful ideas on innovation, IT trends, new systems and processes. They also found they were educating others about our ways here at Danihers and that was very well received. This week we are celebrating Thank Your Cleaner Day. We believe it’s so important to recognise the hard work our wonderful dedicated teams and say THANK YOU for embracing the Danihers way every day! It is so good to come to work, even after doing it for 30 years at the one place, and still enjoy the amazing customers we work with and our team whom invigorate and continually strive for service excellence. I hope you all feel the same in your journey.